As told by Patch on Christmas morn when he unwrapped his present. A Christmas wooly make in April! Oops. This started last summer when Patch discovered a Star Wars making book in The Works and wanted to make one of everything. 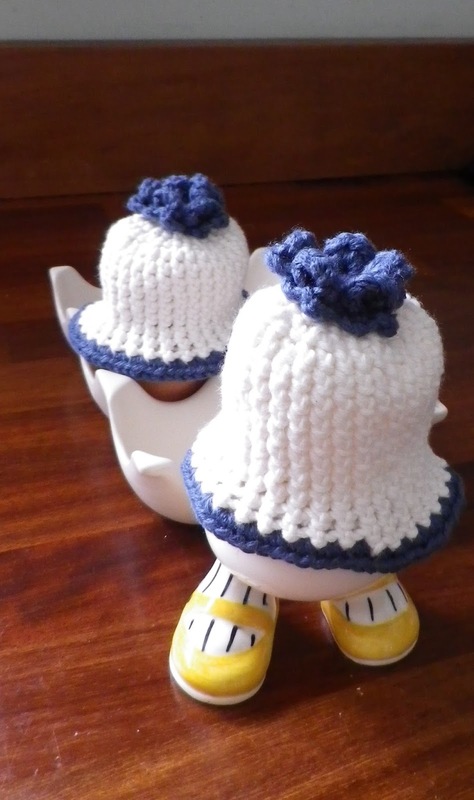 I was pleaded with to make the R2-D2 crochet beanie, and that was my plan. 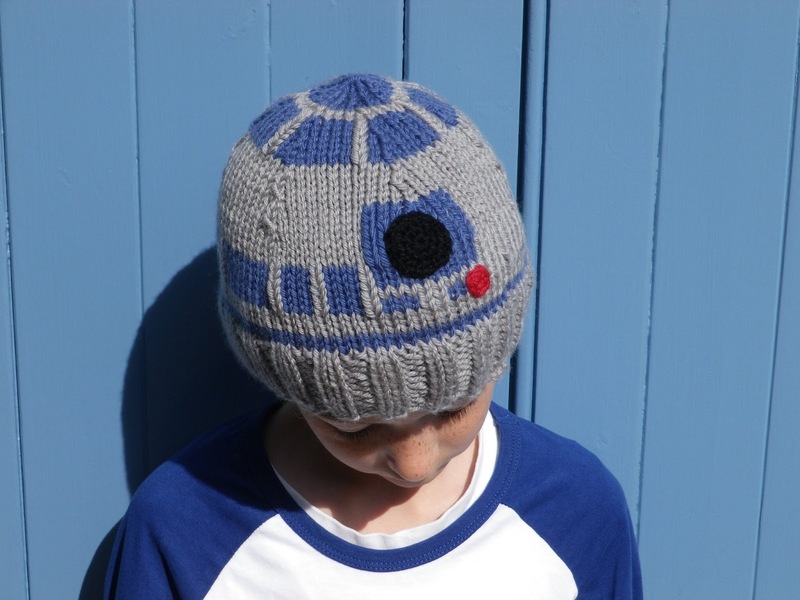 But then I had a look on Ravelry and found this R2-D2 knitted beanie by Carissa Browning which looked more R2-D2ish and snugger... important in chilly December, less so in late April. Did I say Patch loves it? 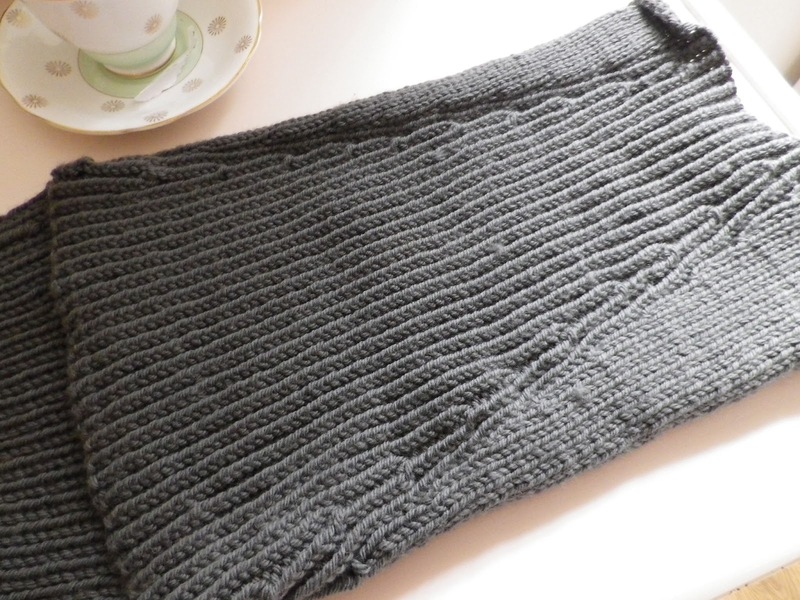 This was knitted in oh so soft Debbie Bliss cashmerino aran in grey (shade 9) leftover from knitting a Christmas hot water bottle for my lovely sister, and cobalt (shade 208). The black and red crochet circle details are unknowns from the basket... 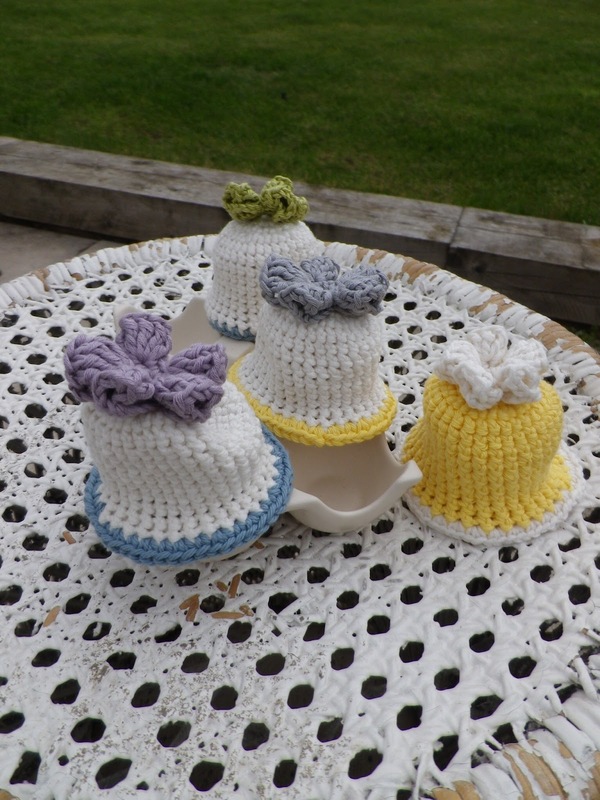 I made the child size with additional rows as I didn't think the original pattern made a deep enough hat. Those lovely ears need to be covered. So the striped detail is slightly different on Patch's hat, and I decided against the protruding additions, but I think it's still satisfactorily R2-D2 like. Hope you had a happy, sunny easter time... Ours was gentle and lovely. Well, the enforced gentleness of the first week wasn't much fun as I had an oh so painful back which meant I spent the time lying flat on my back, even unable to knit or crochet. That's when everyone realised I really was in pain. Luckily Mr R was able to be at home too so P had a fun time with his Daddy. It has meant that the holidays have seemed rather short, tho we seemed to have squeezed everything in - a Patch day, trip to the cinema, swimming, going to see Charlie and Lola's bestest play (slightly worried that P may have found it a little young, but he was adamant that he wanted to see it. He did enjoy it, tho maybe this was the last time we shall see it), bouncing with friends on the pillow and lovely days with cousins visiting from The Netherlands. And lots of playing games and wearing pyjamas all morning long! A good holiday. Just look at those bell shaped bottoms... love this pattern! 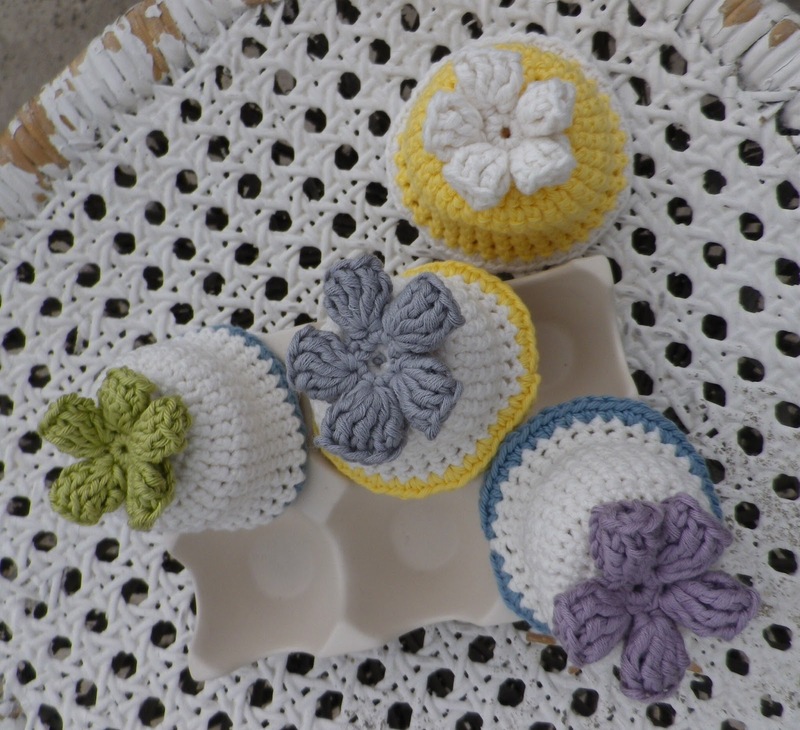 These were made from any balls of cotton found in the basket, happily all springlike colours. 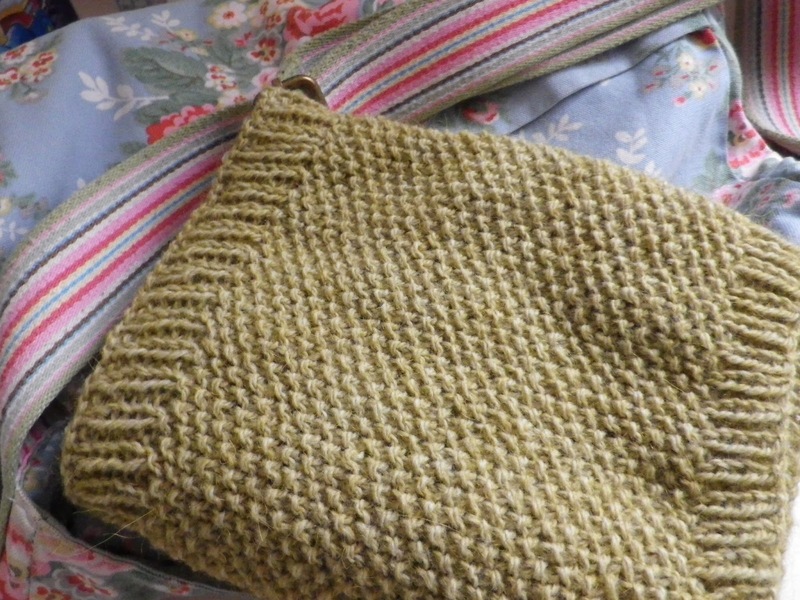 I chose the wool as I liked the green, yet forgetting that this wool behaves like no other aran I know... the pattern suggests a wool knitted on 5mm needles as is this Rico Design fashion country aran (in pistachio) but this is not as plump as most aran weights. Not sure the correct term for describing the weight of wool is plumpness. And I knew this from using it once before. But forgot. Of course I could have changed needle size but that would have meant another trip and purchasing yet more needles so I decided to use what I had. The other thing would have been to use double thickness wool, which is what I ended up doing for this hat, but not enough wool purchased, and actually the lightness of the cowl is probably just right for a slightly chill spring day. 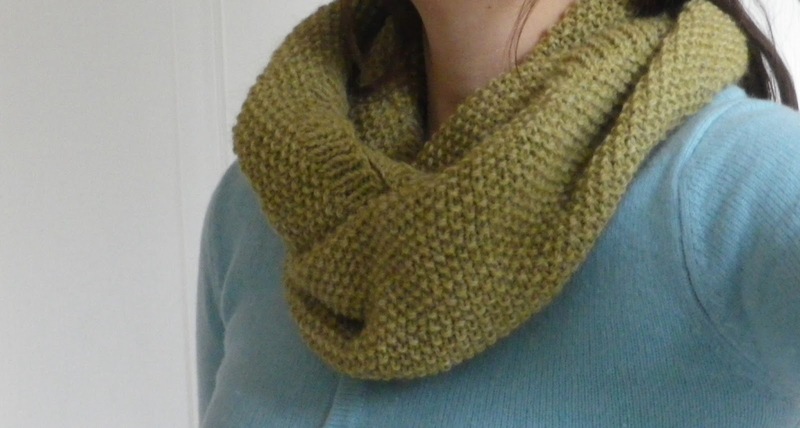 This knits into a lengthy cowl, happy to be wrapped around twice and I do love all that moss stitch. 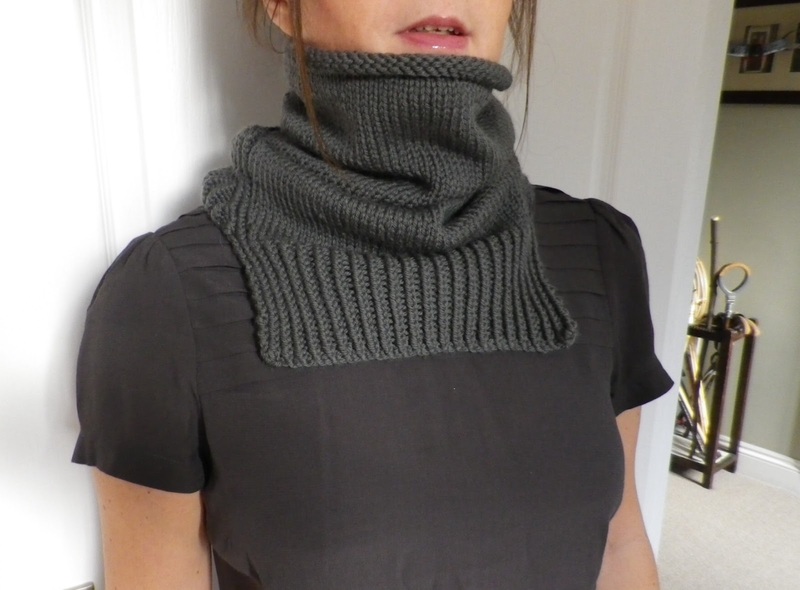 Here is a not so good photograph of it being worn - the photograph on the pattern show it off much better! But you get the idea... Happy birthday dear Jo! I have no idea why this photo is off centre... but oh my it will not budge! Have decided to not get annoyed, and just let it be there. Though please do look and admire the lovely shaping in this pattern. Do hope you had a happy birthday dear Ems!